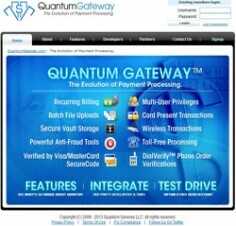 Quantum Gateway payment processor was created in 2006 with a goal of providing merchants with a feature rich, secure, and easy to use payment processing solution. They have built in a number of processing, reporting and security tools to their payment gateway solution to make it as valuable as possible to merchants at an affordable cost. One way they are helping merchants is through their security features which include tokenization. This allows the merchant to store an encrypted form of their customer’s card details securely on the Quantum Gateway servers. This encryption prevents data breaches and by saving the data to an outsourced solution, the merchant avoids the difficulties and costs of maintaining compliance with industry security standards. 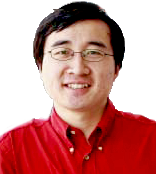 Quantum Gateway increases the security of their offering by including several fraud prevention tools. Merchants can include telephone verification to reduce fraud, can filter by IP address, put order completion requirements in place and access a host of other settings designed to minimize credit card fraud. Merchants can also integrate MaxMind IP/GEO/BIN Scrubbing with their Quantum Gateway account. These fraud protections can save uncounted amounts of money from excess authorizations and chargebacks. In addition, they offer recurring billing, Quickbooks integration, a vast number of online real time reports, a mobile interface, easy integration and 24/7 customer support for any issues. Quantum Gateway provides only online payment processing solutions, they do not provide physical swipers, PIN pads or terminals. It should also be noted that Quantum Gateway can only provide merchant accounts for business located in the U.S. who have a U.S. bank account.